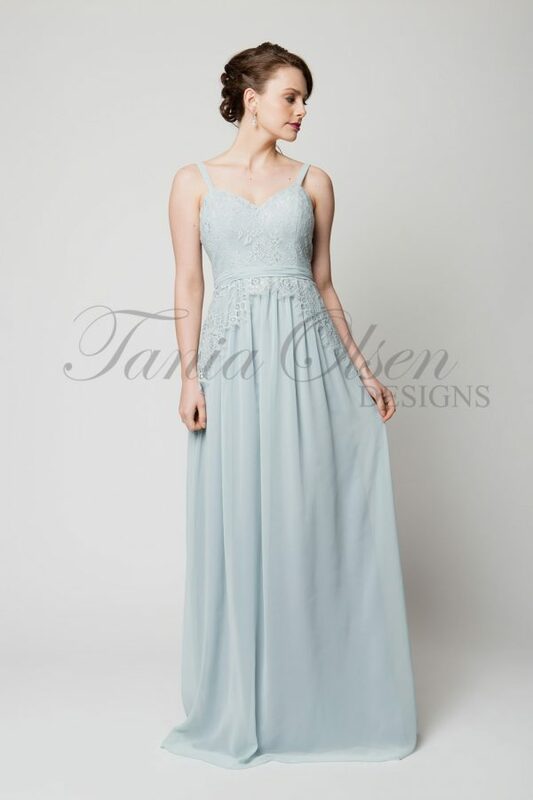 The Shivani Bridesmaid Dress features a delicate corded lace overtop a v-neck blouse, a floor length skirt, and long sleeves for a unique look. The Shivani Bridesmaid Dress is a totally unique gown that will turn heads for a variety of reasons. To start, the bodice features a stunning floral corded lace that extends to the waist and arms to full length sleeves. The overlay stops before the hips and from below falls a luxurious jersey knit floor-length skirt.